For this online session you will need to watch this video of a speech given by Gloria Ladson-Billings on culturally relevant pedagogy. While watching, please consider our class discussions; however, also push yourself to raise new questions based on what she has to say. Finally, you might be interested in checking out this article about Kendrick Lamar’s recent visit to a NJ classroom. After reading/watching the videos/articles posted here please leave a comment on this post in which you reflect on how this reading/watching relates to the thoughts, ideas, and questions, that came up in our last class. Also feel free to pose new questions to the group. Looking forward to our Twitter chat tomorrow night at 8PM! We will discuss the following questions. Please be ready to share your ideas. How can teachers really know their students?How can knowledge of students drive instruction? As we think about how different instructional strategies work in our own teaching contexts, it can be helpful to spend some time paying closer attention to the contexts in which we teach. When we say “that won’t work at my school,” what do we mean? What is the disconnect between the strategy and the context? For this online class, I would like you to explore your teaching context by taking the time to observe and notice the sensory details of that place. This activity will serve as a first step towards the development of your sense of what it means to teach in your particular teaching context. One project I have done with students that gets us to think about this is the following Poetry Mapping Project. Here’s a short piece I wrote about it a few years ago. We began by reading the following chapter in Georgia Heard’s book Writing Toward Home. While this book isn’t exactly geared for students in the classroom, it is filled with prompts for writers and I have found it to be helpful when I’m trying to think of writing ideas for students. Then, I gave the students the following example of my own poem. If you open the following document you will see how I presented the poetry-writing experience to my students. You might also want to use this as a guide for writing your own poem, as you will do today. The assignment I gave my students was to write a poem using sensory details (much like the one in my example, if they like) about a particular place. When I worked in Queens, I used this Google map to publish my students’ poetry. A few years later, when I taught on Long Island, technology had improved and we were able to include audio and visual elements to our Google map. While the students in the examples above wrote about where they lived, you will write about where you work. You will need to explore the neighborhood you work in. Take a walk on your lunch break, or take mental notes as you interact with the area surrounding your school building on your walk to or from school. Your poem will require that you pay attention to sensory details, so remind yourself to pay close attention to your surroundings. You might also ask yourself, what does “literacy” mean in this context? Are you introducing literacy to your students, or are there context-specific ways in which they already are literate? Once you write your poem, go to the map, click on the upside-down teardrop thing, drag it to the location you want, and plant it down. Then, you will see a little box pop up that allows you to post directly on the map. If you click on “rich text,” you will be able to add a picture to your poem or change the color of your font (cool!). Please let me know if you have trouble! You can always send me an email with your poem and I will post it for you. Also, if you would like your poem to be anonymous, that’s fine – just send it to me so that I know and I’ll post it for you. Once you are done with this writing project, I would like you to leave a comment below in which you explain what the process felt like for you, what it made you think about, what you might have noticed in the poetry of your classmates, and how you might use or adapt this idea in your own classrooms. Also, please leave links to other poets/writers/educators whose work you would like to share with us. Click on the Google Map I created for this class and use the marker to add your poem. You should post it on the location you write about. 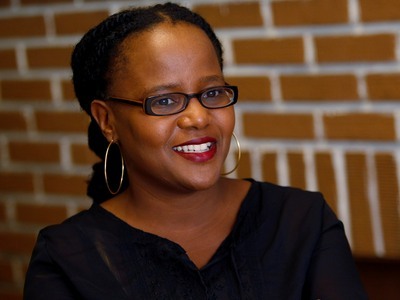 Watch the Edwidge Danticat video. What does she mean when she uses the terms “accident of literacy” and “birthright”? Read the following conversation between Aurora Anaya-Cerda (owner of La Casa Azul Bookstore) and Cati de los Ríos: Click here. Leave a comment at the end of this post in which you reflect on this work, and pose 1-2 questions to the group. DUE: Tuesday, June 9, midnight. Day 4: 6/4/15: Online Session: What does it mean to teach reading? I really enjoyed our class last night. I love hearing about what you are all learning about in the first few years of classroom teaching! For tonight’s online session we are focusing on the question: “What does it mean to teach reading?” Admittedly, this is a huge topic. I hope you will be asking it of yourselves for years to come. In order to start the conversation, I’m posting here a few resources for you to take a look at. Below you will find links to each resource. How can we learn about our students lives and personal interests? How can we leverage that information to support their reading? What are we willing/able to change about the reading practices of our students? Can we re-think what or how they read in ways that make our students feel valued as individuals? In what ways might that shift promote academic achievement? Please read/watch/listen to Dr. Ernest Morrell’s presentation at the Literacy Summit 2014 (video) and at least 2-3 of the other links provided. and then post a comment in which you a) pose a question that has popped into your mind, b) reflect and/or connect on how the resources relate to your own teaching experience, and/or c) respond to a classmates’ comment or question. These comments and questions will serve as preparation for our Twitter chat tonight from 8-9PM (#hunterlit). If you would like to check out another Twitter chat that already happened, search for #WhatsnewAERA. By typing this hashtag into the search bar in the upper right-hand corner on the Twitter homepage, you will see all of the tweets that were posted using that hashtag. Dr. Ernest Morrell at The Literacy Summit 2014 (video – you should watch the whole speech, but particularly minutes 24-30). Day 2: 6/2/15 Online Class: What is effective literacy instruction? Add your name to a Professional Learning Community (PLC) group on this Google Doc. We can discuss this more in class on Wednesday, June 3, but it is helpful to get this information ahead of time. Complete the following reading & writing assignments. Please read “If They Don’t Read Much, How They Ever Gonna Get Good?” by Richard L. Allington, former President of the National Reading Association. TO DO: Use the comment space below to post questions these articles/video raised for you about reading instruction. Feel free to respond directly to the comments of other students. #2 Who are you as a reader? On my first day of teaching, I walked into my classroom and immediately identified with my students. It had been at least a decade since I was in their shoes, but I remembered what it felt like to sit in a desk, to eye-down my peers, and wait for the teacher to begin the class. As I stood in the front of the room with those memories, I also quickly realized that my students were all different – they were not like me, and they were not all like each other. We all have such varied experiences with school, and whether they are good or bad, those experiences have a powerful influence on our conception of learning. Just as our school experiences make us who we are as teachers and learners, our experiences as readers and writers influence us as well. At the start of every school year I ask my students to write short biographies of themselves as students, as readers, and as writers, and I find that they share everything from heartwarming stories of times when their writing was put on display in a hallway bulletin board, to one-sentence explanations (“I hate books”). Whatever they decide to share – the good, the bad, the ugly – this writing gives me the opportunity to hear about those experiences and understand both the joy and the pain that reading and writing has brought into their lives. This way, I get to know them as individuals, and not just a a collective group of students. I’m sure many of you have asked your own students to perform similar writing tasks and have gotten to know your students well over the course of your first year. In order to get to know you all a little bit better, and to prepare for a month of discussions about how we can best support readers and writers in the classroom, I would like you to use the following questions as prompts for your thinking and write me an email in which you introduce yourself – as a student, a teacher, a reader, and a writer. Who are you as a student? How does your student experience as a an adult compare to your student experience as a child? Who are you as a teacher? Why are you a teacher? How do you relate to the students you teach? What are your goals in the classroom? Who are you as a reader? What do you like to read? How have you grown as a reader throughout your life? Who are you as a writer? What role does writing play in your life? How would you describe your strengths and weaknesses as a writer? How does (or how will) your identity & experiences shape who you are as a teacher?